Gene Fortune, Interior, S.D., purchased Rafter U Cross bulls. 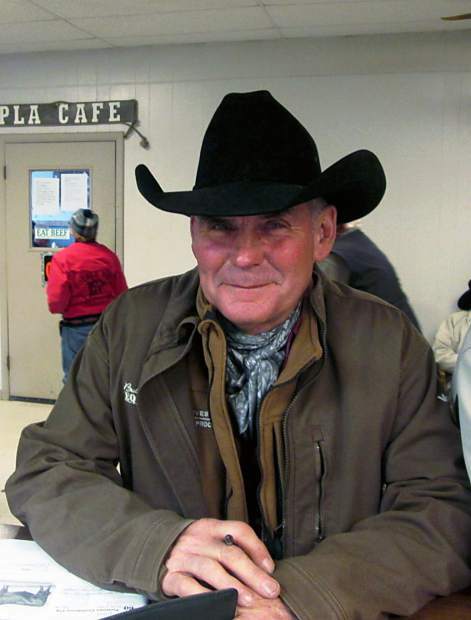 Don Nixon, Alzada, Montana, has been buying Fortune bulls for quite a few years. 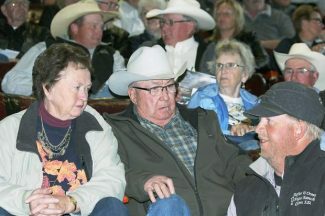 A big crowd of very aggressive buyers gathered for Fortune's Rafter U Cross Ranch annual bull sale. Owners Roger and Cory Fortune, and their families, were on hand to welcome the bidders to the sale. It is extremely gratifying to watch the progress of this cattle herd. Fortunes have invested a lot of capital over the years in selecting quality sires to build this herd. The proof of their breeding program was on display at this sale. Roger and Cory Fortune have the goal of breeding females that are big-bodied and deep-sided, with ideal teat size and udder placement. These bulls were very consistent in their type, and they showed true breed character about their heads and bodies. This was a very fast paced sale that had many repeat buyers bidding and competing for their choices during the sale. Many reputation ranches were represented at this sale. Top selling bull of the day was Lot 47, selling for $16,000 to repeat buyer, Jeff Nelson, from Philip, South Dakota. This bull was a son of Connealy Western Cut and out of a daughter of Sitz Up Trend 2049. Born at only 70 pounds, he weaned at 870 pounds to ratio 114, and posted a yearling weight of 1,348 pounds. To complete the package, he had EPDs of BW 0.0, WW 63, MILK 26, and YW 105. Lot 25 also sold to Jeff Nelson. At $13,500, he was Fortunes Western Cut 531, a son of Connealy Western Cut, and out of a daughter of Sitz Game Day 8636. With a 72 pound birth weight, he weaned at 837 pounds, before reaching a yearling weight of 1330 pounds. His EPDs included CED 8, BW -0.2, WW 57, YW 98, MILK 25, $W 56.39 and $B 115.58. Also at $13,500 was Lot 34, the top purchase of the day for Larry Gabriel from Quinn, South Dakota. Here was another son of Connealy Western Cut, and he was out of a daughter of SAV 707 Rito 9098. Entering the world at only 68 pounds, he weaned at 835 pounds, and grew to a yearling full of muscle at 1,318 pounds. Lot 8 sold to Bob Fortune from Belvidere, South Dakota, for $12,500. This bull was a son of Sitz Rainmaker 714X who was out of a daughter of Connealy Confidence. He had a 74 pound birth weight, a weaning weight of 821 pounds, and a yearling weight of 1,245 pounds. Levi Newsam from Murdo, South Dakota, bought Lot 19 at $11,500. He was a son of Sitz Rainmaker 714X, and out of a daughter of SAV 004 Traveler 4412. Born at 72 pounds, he weaned at 800 pounds. He had a yearling weight of 1,317 pounds to go with EPDs of CED 9 and BW 0.6. The Lot 3 bull sold to Bob Fortune for $11,000. He was by Sitz Rainmaker 714X and out of a daughter of SAV 004 Traveler 4412. He was the bull with the heaviest weaning weight in the sale. He weaned at 908 pounds to ratio 119. 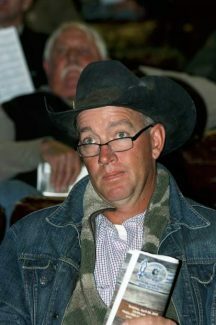 This was just a really good sale, and, with their energy and knowledge, I'm very sure that this breeding program is going to keep improving with time. You will hear a lot more from this outfit as they keep putting all of these strong genetic pieces together.